The ResQLink+ is small and lightweight so it easily fits in a pocket or your backpack. It has a builtin GPS locator to accurately give your position to rescuers and 121.5 homing signal to guide searchers to you. These three features are MUST HAVES in our opinion and this PLB is reasonably priced. It is the number one selling Personal Locator Beacon on Amazon.com. 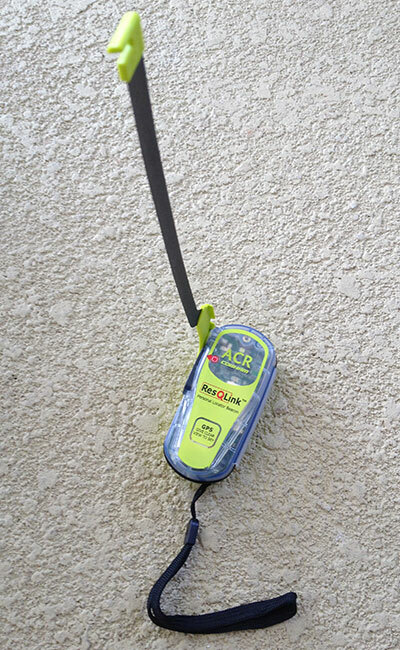 The ACR PLB-375 ResQLink+ Personal Locating Beacon is the world’s smallest PLB, and it floats! At 5.4 oz, the ResQLink+ weighs less than a couple of PowerBars. And topping at just 4.5 inches, it’s smaller than the cell phone in your pocket. Small and mighty, the ResQLink+ is a full-powered, GPS-enabled rescue beacon designed for boaters, pilots and water-borne sportsmen. With three levels of integrated signal technology -GPS positioning, a powerful 406 MHz signal, and 121.5 MHz homing capability – the ResQLink quickly and accurately relays your position to a worldwide network of search and rescue satellites. A built-in strobe light provides visibility during night rescues. Even in extreme conditions and situations, the ResQLink activates easily. Just deploy the antenna and press the ON button. 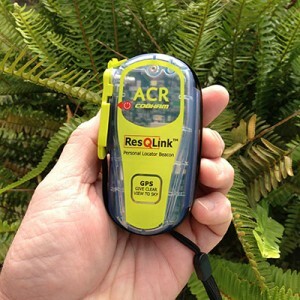 With its powerful 66 channel GPS, the ResQLink guides rescuers to within 100 meters or less of your position. And, in the continental U.S., search and rescue personnel are typically alerted of your position in as little as five minutes with a GPS-enabled PLB such as the ResQLink. Two built-in tests allow you to routinely verify that the ResQLink is functioning and ready for use – with the push of a button, you can easily test internal electronics and GPS functionality. The unit features a small size of 1.9″W x 4.5″H x 1.6″D and has a non-hazmat battery for easy shipping. The battery is certified for six years and has a typical shelf life of 11 years. The ResQLink+ is manually deployed and has a five year warranty. Included in the box is the ResQLink+, registration forms (required), and owner’s manual. 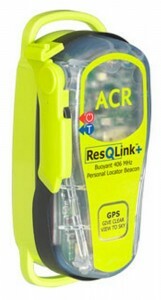 The ResQLink+ PLB is this Site’s Highest Recommended Personal Locator Beacon!